In the dark, the cries of the wounded men on the front line echoed, their hoarse voices calling for the ‘angels on wheels’ to come save them. One such angel was Harriet Weekes, an ambulance driver in the First Aid Nursing Yeomanry. 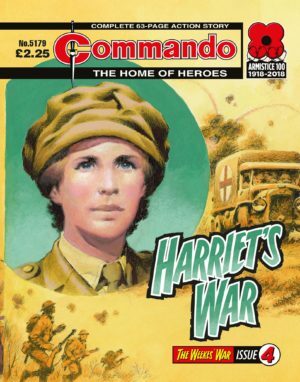 As the fourth and only female Weekes sibling, Harriet had joined up to do her part in the war just like her brothers. Some said she was reckless. Some said she drove like a bat out of Hades. But when there were people who needed her help, she was an angel on wheels.